On the loose! the Foo Pup is here again, and back from its second appearance at DesignerCon. Ryan Crippen aka Reactor 88 this time painted in a pearl white with gold accents. Foo Pup carring on the the mix Folklore and traditions with a hint of a moden take of the mighty Foo Dog. 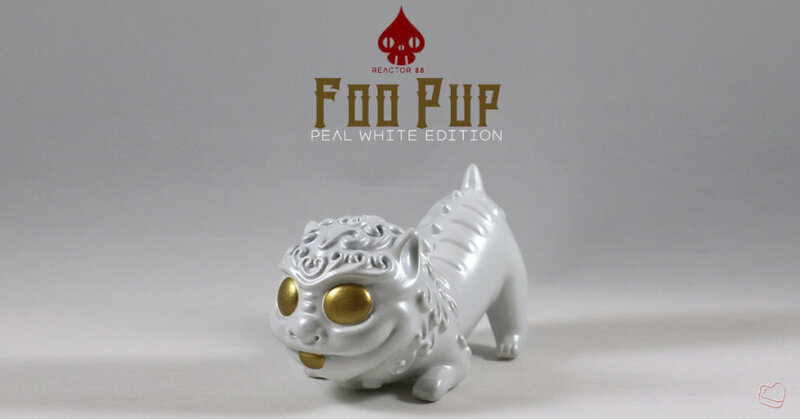 Foo Pup – Pearl White Edition has now been launched online and in-store at Myplasticheart. Check the new http://reactor88.com/ and show some love on Facebook, Twitter & Instagram.